I made this card using a Dollar Tree stencil by Jot! Distress Oxide Inks were used for the background and sponged through the stencil. All images are from the same stencil except the faint script. I outlined the stenciled image with a needle tipped pen and even added some glitter at select points. 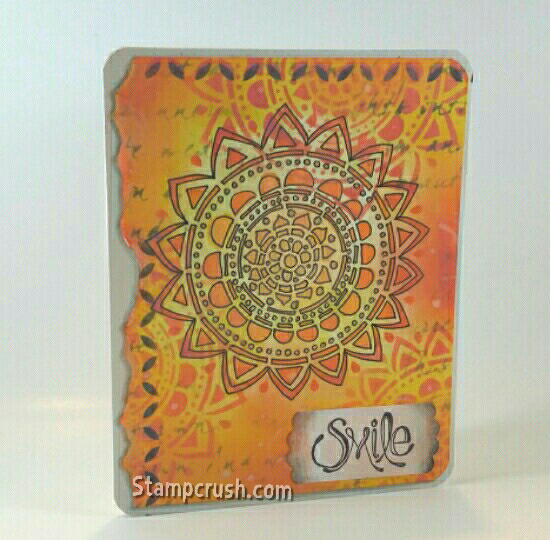 Sentiment is from Hampton Arts Ki, SC0584 stamp set.